Ah, yes. 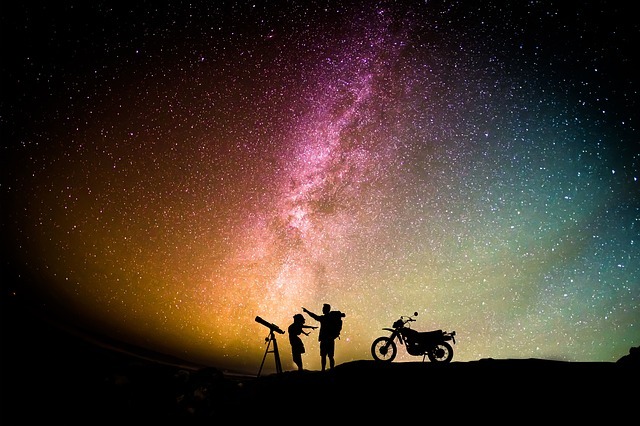 Stargazing and seeking celestial bodies from afar. At one point in time, this was considered the material of daydreams and lost minds. However, through the ages tools were invented that enabled us to see what fills the sky just a little bit better. Thanks to telescopes getting up close and personal with a planet located several gazillion light years away were no longer so far-fetched a plan. It was now slowly becoming a reality. Here are a few interesting factoids that tell a bit about the wacky truth behind telescopes. Telescopes paved the way several decades ago for such things as high-speed telecommunications. Long before Agent 86 married Agent 99 and even longer before the internet and text messaging your thoughts became a reality, telescopes were tools used by spies. Well, secret agents, anyway. That’s because the technology used in the development of the average telescope was borrowed for designing a specific type of spy glasses. These special gadgets would have made Maxwell Smart and James Bond very, very happy as they were used to relay semaphore signals from miles away to another spy or secret agent. Telescopes were pretty useful in bringing faraway objects closer in view. In fact, they did such a good job at that, that Galileo had an idea. Tired of using his telescope to snoop on the neighboring villagers and spotting the arrival of undesirables long before they got close enough to smell, he pointed one to the sky. Suddenly Galileo became the first astronomer, although he probably wasn’t aware of that at the time. However, he did discover moons around Jupiter and craters on the Moon. Then he decided to point his telescope at the brightest star in the sky. That contributed to his eventual loss of eyesight. Ever since the mid-1800’s pretty much each and every major observatory constructed on our planet – designed to explore life on other planets, far, far away – are built in one specific zone. That zone happens to be in the thin, clear air that typically occupies the atmosphere of remote mountaintops. The argument is that there is less air to slow down the blips and beeps that these massive radio telescope dishes can receive and translate. We think it’s partly to get away from the light pollution of the city. We also think it’s partly to make it harder for the average tagger to mark the side of an observatory with his gang markings. To give you an idea of what it takes to get one of these radio telescopes into place, forget about helicopters. They can’t handle the payload without some form of collateral damage. In order to get a 100-inch mirror to a site in California a total of close to 200 men were required. Not because it was so heavy but because the load was so freakin’ awkward to snake up the mountain road to the top. It took over eight hours with each of the men guiding the truck with ropes attached to it. The upside is that Mount Wilson is listening to things on the other side of the galaxy thanks to the extra effort of all those involved. Thanks to the invention of the internet, it has brought all of us so much closer together. All you have to do these days is visit any family-friendly setting to see all members of a family sitting together in silence texting other people. Well, the internet also is to blame for such things as what is now being called ‘internet-based telescopes.’ Essentially these are telescopes that you access online and maneuver manually with the aid of your keyboard. Think interstellar video games minus the shooting of spaceships out of the sky. With remote-operated telescopes, you no longer have to leave your home to leave your planet. Due to a lack of government funding, your average professional astronomer who isn’t working for NASA, the CIA or Russia not only has a second job to make ends meet between shocking astrophysical discoveries, but they rarely go into work anymore. Thanks to the details revealed in Point #5, the internet has allowed some of the astronomers to ‘check in’ on their favorite planets or satellites or stars or black holes during their lunch breaks at Wal-Mart. The internet is a wonderful thing in that it has changed how we communicate, shop, seek information and in many cases, the way in which we earn a living. Light recorded from the most violent of explosions deep within our universe is what keeps gamma-ray telescopes busy. Examples of this kind of explosion include stars collapsing into black holes and whatever the aliens will do when they encounter that crazy Telsa attached to a rocket. Gamma-ray telescopes do serve a greater purpose as well. For example, a solar explosion anywhere within 6,000 light years of Earth would fry us all, so we need to have these Gamma tools pointed skyward to give us a slight warning of what to expect a few thousand light years into the future. Hey, some call it nutty, we call it global warming. Here’s something that would look great on anyone’s resume. The light-collecting mirror on the Hubble Space Telescope is eight-feet wide. It took a year to polish it to the accuracy of 10 nanometers. For comparison sake, if we did the math right, the human hair is about 100,000 nanometers thick. That’s the cool job for the resume. However, the crews doing the polishing actually went a bit above and beyond the call of duty and polished it a tad too much. 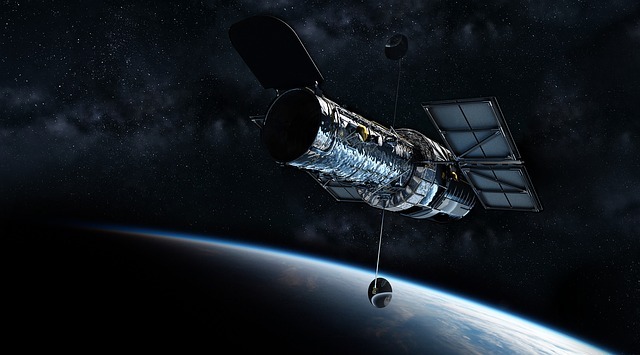 When it went into orbit, the Hubble mirror was off about 2,200 nanometers. The guys on that team probably should skip that detail on their resumes. 9 – Twinkle, Twinkle…How Come It’s Not Twinkling? We’ve mentioned the internet and high-speed telecommunications a couple times already. One of the things the average newbie discovers shortly after setting up a home telescope and scanning the skies is that not all bright objects were floating by are stars or planets. The ones that typically don’t do a whole lot of twinkling are the ones most commonly known as satellites. Only the type of satellite we’re talking about is manmade and is responsible for your television programming, weather observation and a bit of spying. There’s a massive amount of floating space gear out there with as much abandoned space junk filling the sky. We’ll be the first ones to admit that staring at a longish tube with mirrors and magnification is a lot more fun than reading about it. However, there is something rather interesting in how the telescope ended up being the tool of choice to seek out those far away shiny things in the sky. Originally used as a means to stealthily pass on information at great distances, the telescope soon became a tool to visit the Heavens. You could say that by looking upwards we discovered a great deal more about ourselves and where we fit into the immenseness of space. Neil Armstrong said it best when he touched down on that fake Moon surface in a Hollywood studio somewhere and proclaimed his famous line about the small step for man and something about taking a leap for mankind. There was no way he or NASA knew at the time what significance that moment would bring to space exploration and conspiracy theories. Yet, it really did usher in a brave new age and changed the world and our galaxy as we knew them. We think that it was telescopes used as spyglasses that messed up Apollo 13, but that’s just us. The sky is big. Telescopes make it about as easy to navigate as a text message keyboard on the smallest cellphone in the world. However, thanks to visionaries we have the means to learn more about what lies outside our ozone layer. What makes it even more amazing is that we don’t even have to ride the subway to the nearest observatory and hike for hours to get to the mountaintop location. We just have to Google ourselves to a remote-operated telescope and sit back and enjoy the show. But if you do happen to record something like a gamma ray light burst, give us a head’s up, will ya? Why are Telescope Mirrors Parabolic? Can we have a telescope at an affordable cost?